This scientific axis encompasses research activities on a large variety of magnetic and/or strongly correlated electron systems. 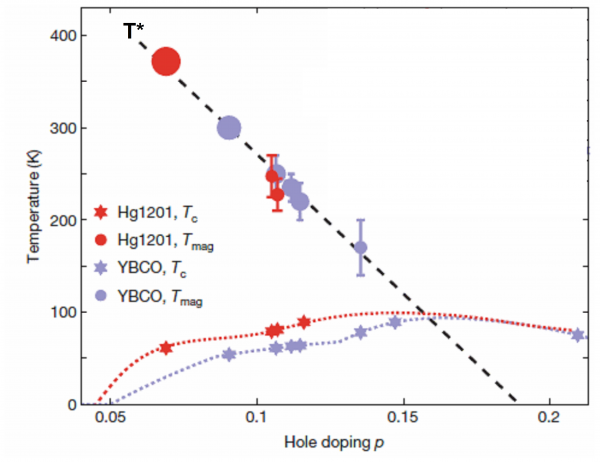 Included are studies of unconventional superconductors (cuprates, pnictides), geometrically frustrated pyrochlore magnets (spin ices), novel magnetic orders in 4f-electron systems (heavy fermions, Kondo insulators), multiferroic compounds with interplay between electric and magnetic orders, manganites with giant magnetoresistance properties, and molecular magnets. The techniques involved are neutron diffraction and inelastic neutron scattering, with the optional use of polarized neutrons. 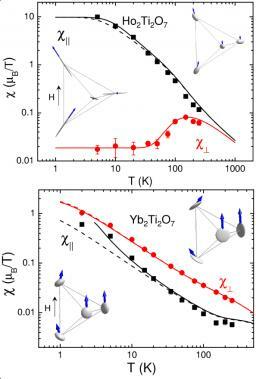 Presentation of the "Strongly correlated quantum materials and magnetism" axis (Sept. 2011). 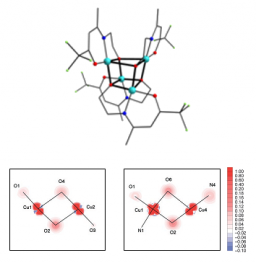 Geometrical frustration in the pyrochlore lattice: spin liquids and spin ices : In chemically ordered compounds with short-range magnetic interactions, geometrical frustration appears when all interactions cannot be satisfied simultaneously due to the lattice geometry. A well-known example is a triangle of antiferromagnetically coupled spins. Multiferroic materials : Studies conducted over the past few decades came to the conclusion that ferroelectricity and magnetism tend to be mutually exclusive, and interact only weakly with each other when they do coexist. 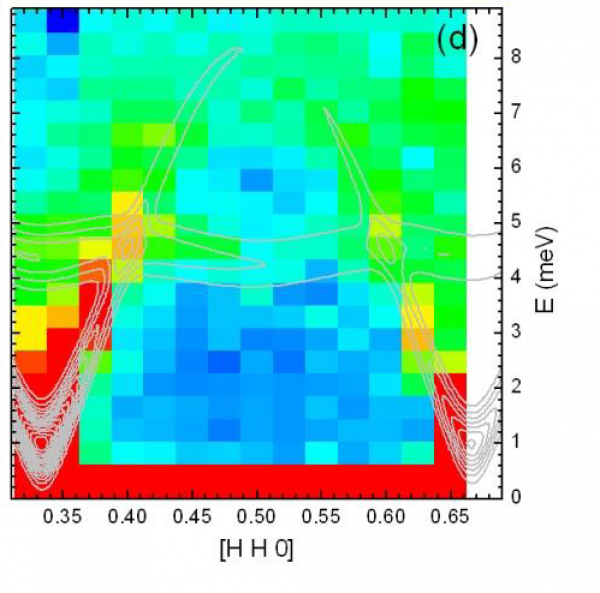 Novel electronic and magnetic properties in 4f-electron systems : 4f electrons are known to be more localized than d electrons and subject to strong spin-orbit coupling. 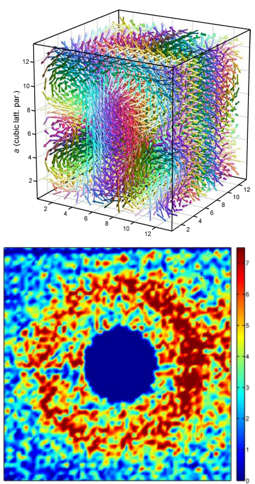 Observation of a magnetic "blue phase" in an itinerant magnet : Blue phases often appear in chiral liquid crystals as arrangements of so-called “double-twist cylinders”, characterized by twisting in all directions perpendicular to the cylinder axis . 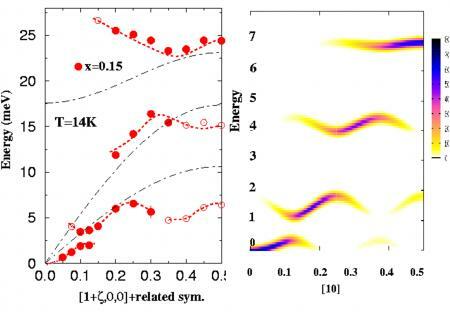 Strong correlation in CMR manganites : Among the many novel phenomena encountered in strongly-correlated electron systems, specific effects originating from the interplay of different degrees of freedom (lattice, electron charge, spin and orbital angular momentum) have aroused particular interest. 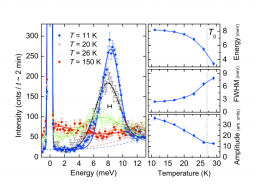 Unconventional superconductivity: neutron spectroscopy and theory : In the last two decades, new superconducting (SC) compounds, exhibiting surprisingly high critical temperatures (Tc), have been discovered. In contrast to conventional superconductors, the SC order parameter is not isotropic, neither in cuprates nor in Fe-based systems.